The PermaVita suite of products includes digital and print memorial packages. Fully customizable Online Memorials and slideshows, and superior quality printed cards and keepsake books are all available. Beautiful, customizable Online Memorials combined with a fully integrated App provide your customers with the digital platform they expect and have come to depend upon. Sharing of photos, stories and Guestbook comments, tasteful slideshows. Capture guest registry and comments on our new Digital Memorial Register and automatically upload them to the Online Memorial. Memorial, Order of Service and Thank you Cards, Memorial Registry and Photo Books greatly surpass any current offerings in beauty and value. These printed products are provided to your client families with no inventory requirements and no compilation or printing efforts on your behalf. Maintain your unique online presence and provide superior printed products without compromising your bottom line. The integration of our products is easy and immediate. Best of all, this seamless integration comes to you at Zero Cost. 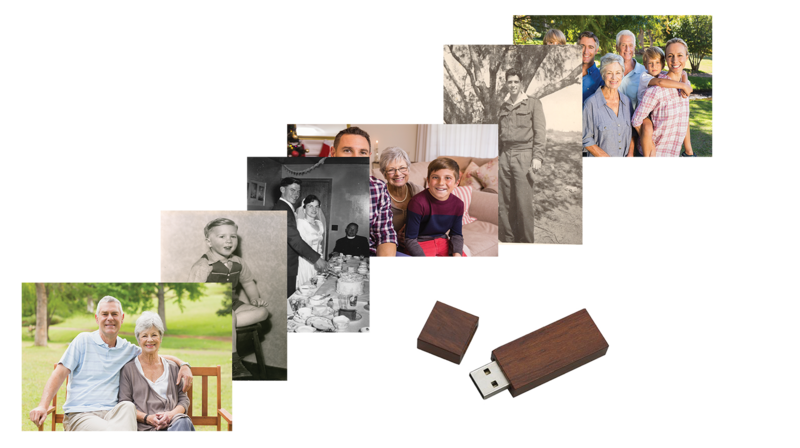 The Online Memorial tool helps you create an enduring tribute to the life of your loved one. 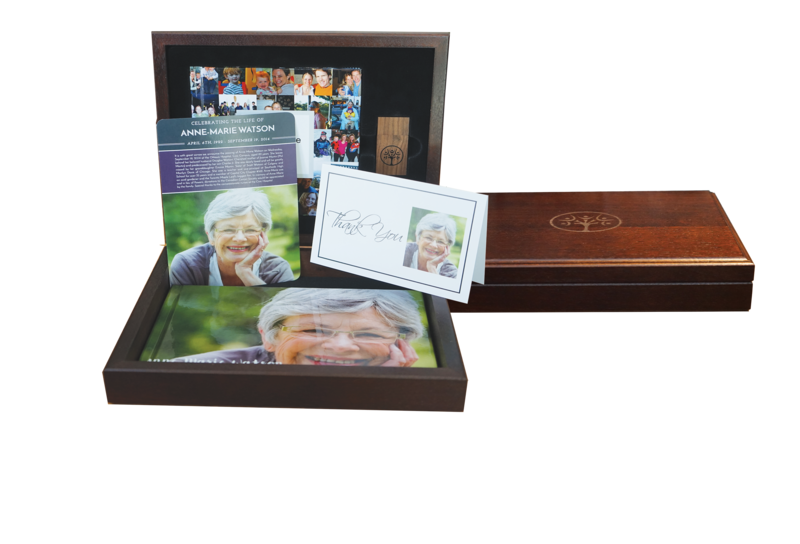 Capture your most cherished memories, allow your friends and family to sign a guestbook, share condolences and stories, and include their favorite photos, videos, stories and music to add to your celebration of life. Privacy and all content is moderated by you. Our Digital Registry Book is the modernization of the traditional paper guest registry book. 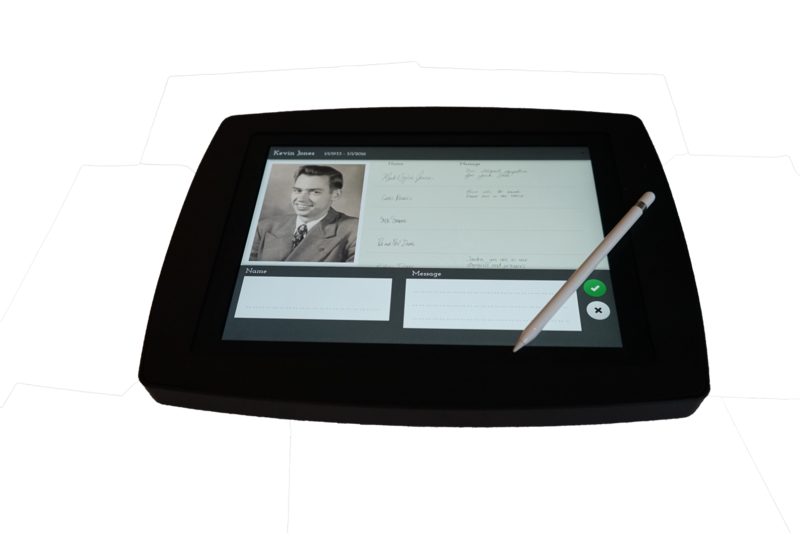 We have developed a signature Memorial Registry application running on an ipad platform. 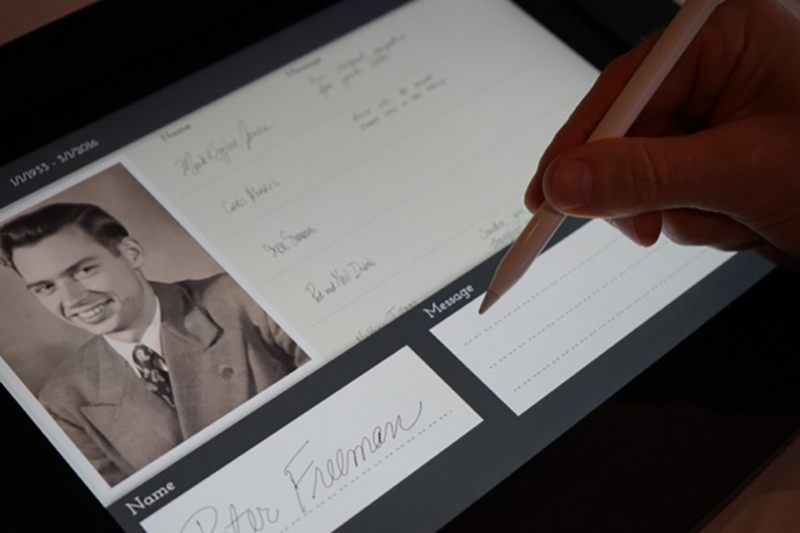 Using the newly released Apple pencil, guests can easily sign the Register recreating the timeless feeling of pen on paper like no other electronic guestbook. Gest names and comments will be immediately uploaded to the Online Memorial Guestbook. Use the data gathered in the digital registry book to create a lead generation contact lists for future sales and reach outs. The Digital Memorial Registry can accommodate multiple services at once and works in both online and offline mode where internet connection is unavailable. 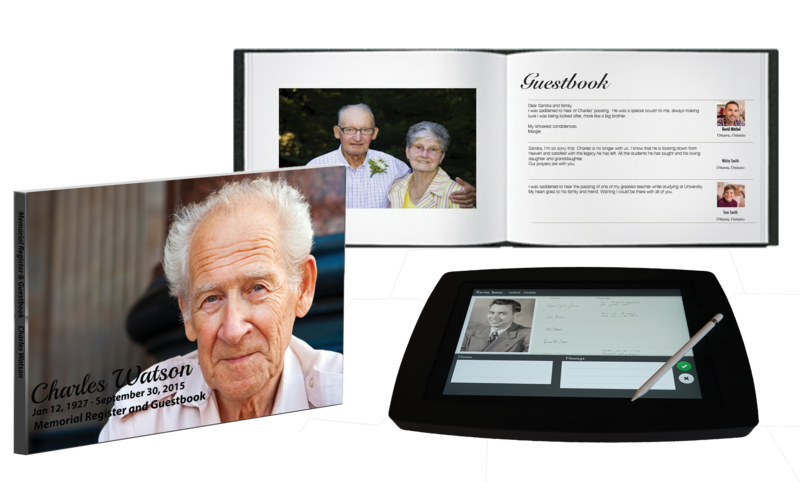 The ultimate advantage of this modern approach is the ability to merge the online guestbook entries with the names and comments gathered at the Memorial service and provide a all-encompassing, beautiful keepsake book. 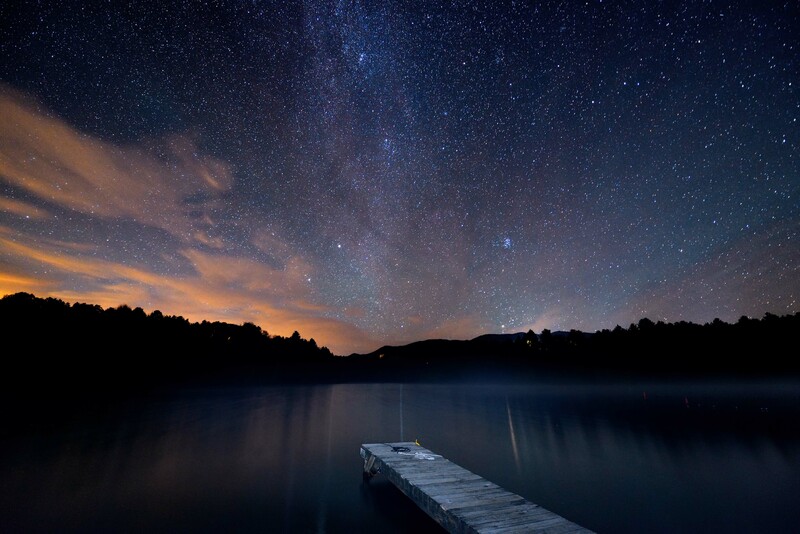 Using carefully selected images, we will create a beautiful Memorial Slideshow using pictures, videos and music. This Memorial Slideshow is a valuable element of the memorial service. The Memorial Slideshow can be provided on a USB memory key. Using carefully selected images we will create a beautiful Memorial Slideshow to help tell the story of your loved one’s life using pictures, videos and music. 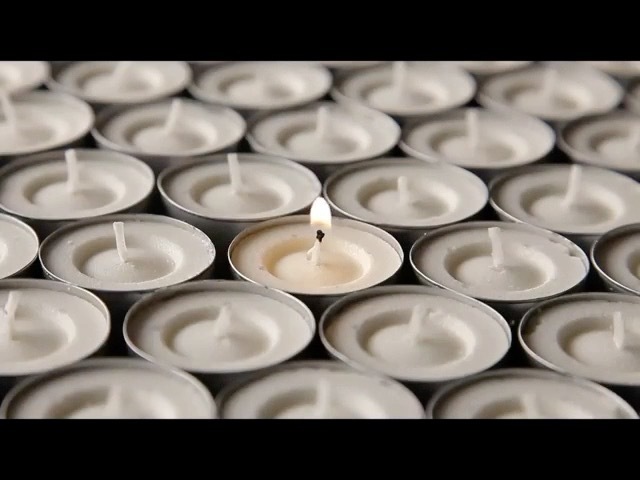 This Memorial Slideshow is a vital element of the funeral, memorial service or wake. Viewing a photo slideshow during these services allows your family and friends to celebrate the life that was lived, to reminisce, to laugh and cry together. Following the service, copies of the Memorial Slideshow can be obtained as a precious keepsake for family and friends. A USB memory key or a DVD will be provided. Our Customer Care CentreTM and agents are readily available to assist you and your family in creating a Memorial Slideshow, at no additional cost. 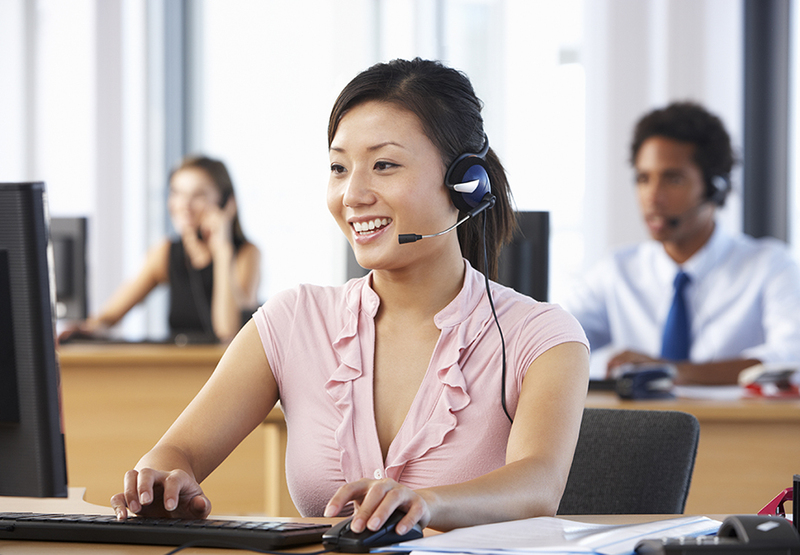 Simply log in and click “Live Chat”, email or call our support centre directly. 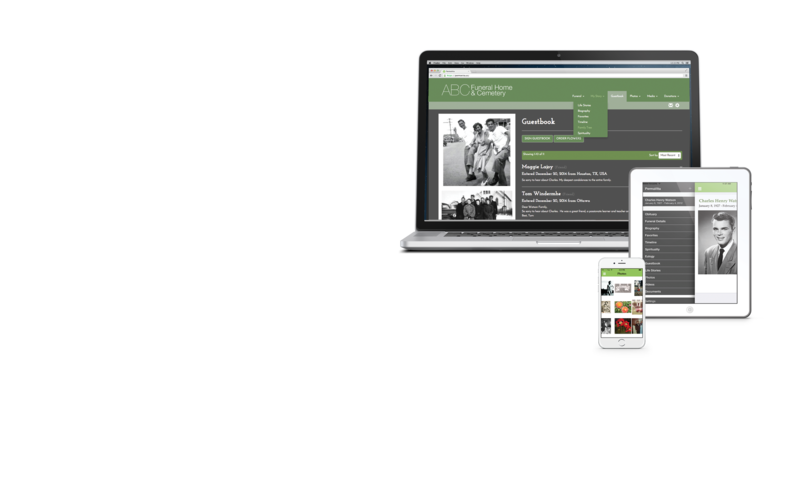 The Memorial App provides users with an opportunity to store all memorial content offline. ensuring that the valuable online memorial content captured in stories, photos, videos and remembrances remains accessible without requiring access to the internet. 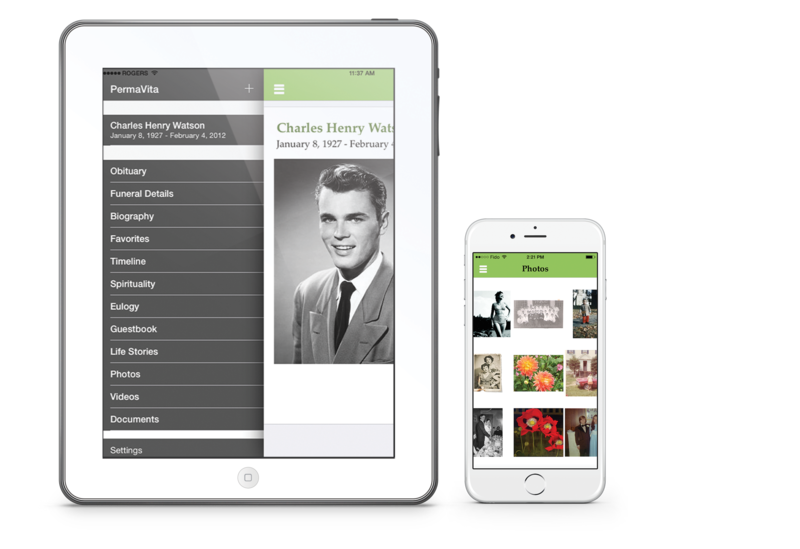 The Memorial App provides you with an opportunity to store all memorial content offline. The Memorial App ensures the valuable online memorial content captured in stories, photos, videos and remembrances is accessible for future generations to learn and celebrate the life of loved ones forever, without ever having to access the internet. So whether it’s someone with limited access to the internet, or those who prefer to keep the content private after the utility of the online memorial has expired, the Memorial App is a sensible choice to ensure all memorial site shared content lives on in a safe, private and secure format. You can store multiple memorials under one application creating a destination for friends and family to remember the legacies of past generations. Our Customer Care Centre and agents are readily available to assist you and your family with the download of the Memorial App, at no additional cost. Simply log in and click “Live Chat”, email or call our support centre directly. 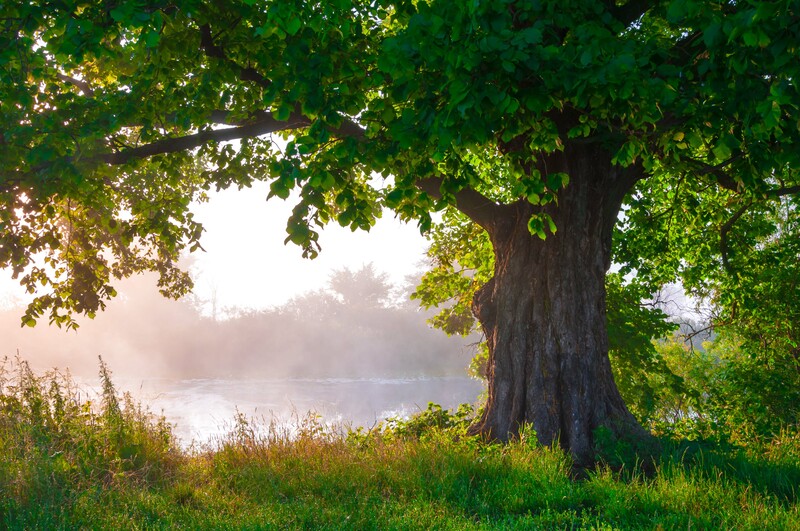 The Memorial Register & Guestbook is a rich compilation of photos, guestbook entries from the online memorial, and entries from the memorial register collected at the funeral or memorial service or visitation. The Memorial Register & Guestbook is a rich compilation of photos, guestbook entries from the online memorial, and entries from the digital memorial register collected at the funeral or memorial service or visitation. The entries will include names, comments and sympathies expressed by family and friends. By combining the online messages with the memorial service register, the Memorial Register & Guestbook makes a beautiful and useful keepsake. Of course, additional copies of the Memorial Register & Guestbook can be obtained for family members and friends. The Memorial Register & Guestbook is available in a traditional hardcover format, printed on quality photo paper, or as an E-Book – the choice is yours. Choose from a unique selection of themes. Our customer care centre works with you to design and create your customized edition and will print and deliver the Memorial Register & Guestbook right to your door. Our agents are readily available to assist you and your family in creating the Memorial Register & Guestbook, at no additional cost. Simply log in and click “Live Chat”, email or call our customer care centre directly. 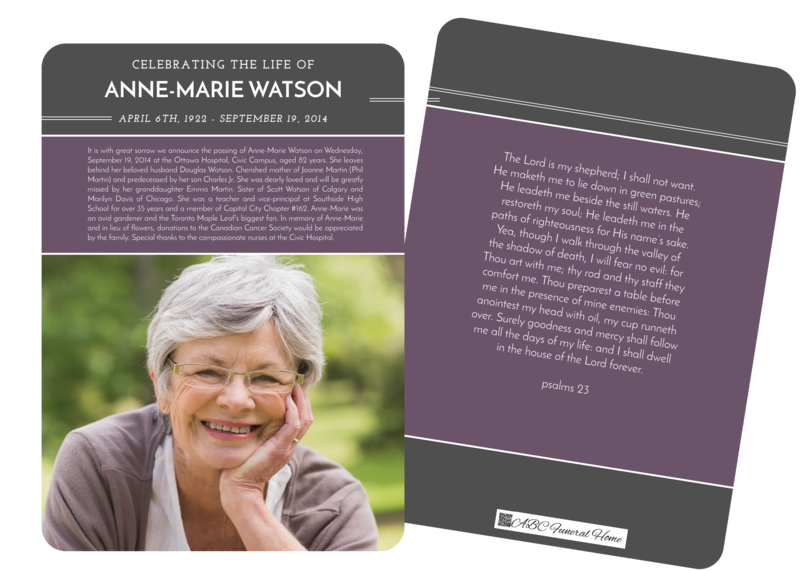 The Memorial Card transforms the traditional newspaper obituary into a beautiful, multi-purpose keepsake card to be shared with family and friends. Choose from a wide array of unique designs that best suit your loved one. The Memorial Card is also available as an Order of Service Card and in electronic format for effortless distribution by email to friends and family. 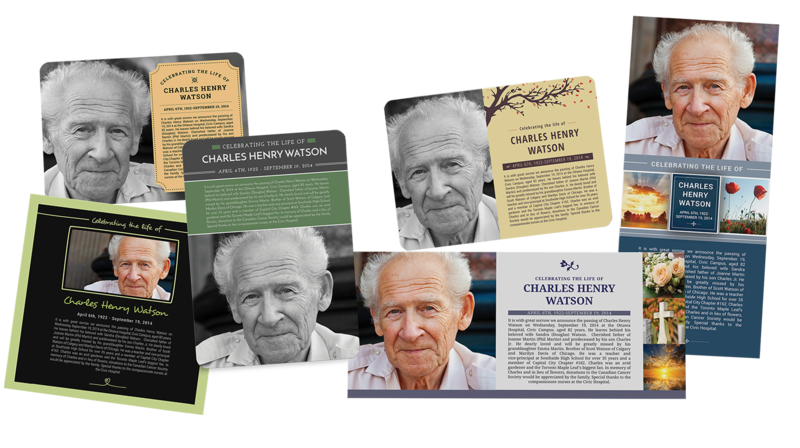 The Memorial Card transforms the traditional newspaper obituary into a beautiful, multi-purpose keepsake card to be treasured with family and friends. Choose from a wide array of unique designs that best suit your loved one. A foldable Memorial Card is also available, enabling you to include the Order of Service for the funeral or memorial service. 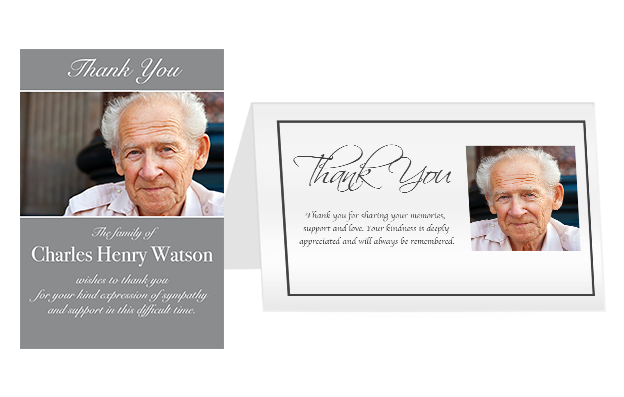 The Memorial Card is always available in electronic format for effortless distribution by email to friends and family. Our support centre and agents are readily available to assist you and your family in creating Memorial Cards, at no additional cost. Simply log in and click “Live Chat”, email or call our support centre directly. Personalized Thank You Cards are an excellent way to show appreciation for attendance at the memorial service, flowers, donations and for kind words and sympathies expressed. 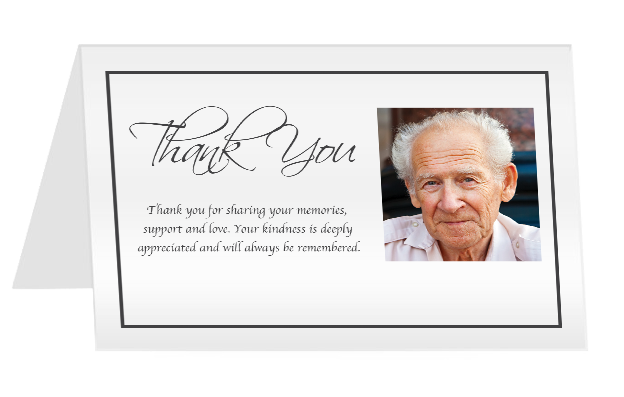 Personalized Thank You Cards are available in electronic format for distribution via email to family and friends and are an excellent way to show appreciation for attendance at the memorial service, flowers, donations and for kind workds and sympathies expressed. The cards can be personalized to include a favorite photo and meaningful message. They are also available in a 4x6 printed format on quality photo paper including blank envelopes and can be shipped directly to you. Our customer care centre and agents are readily available to assist you and your family in creating Thank You Cards at no additional cost. Simply log in and click “Live Chat”, email or call our support centre directly. 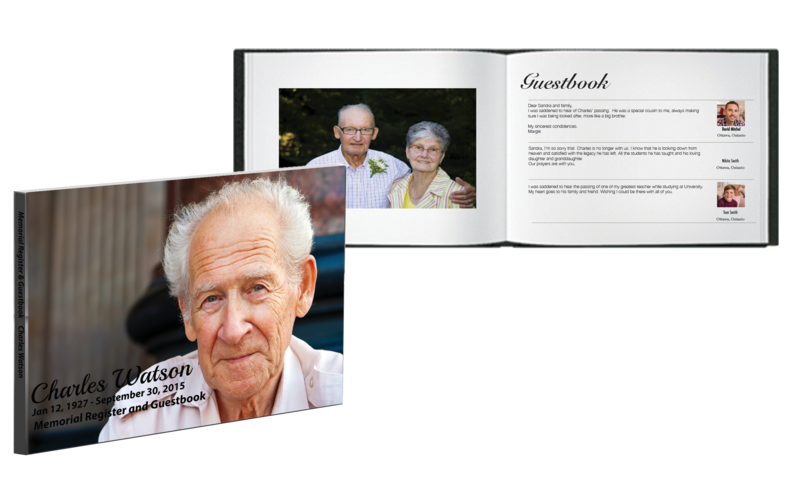 Photo Books provide another format to share, celebrate and store the unique memories captured in photos saved to the Online Memorial. Photo Books are practical keepsakes for the memorial service. Photo Books provide another format to share, celebrate and store the unique memories captured in photos. 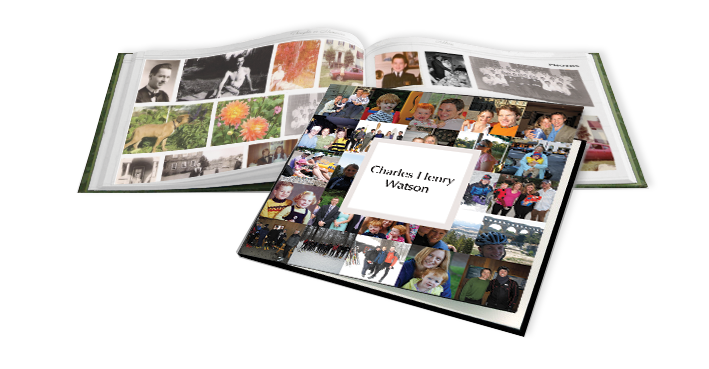 The Photo Book is a practical keepsake for the funeral memorial service or wake. Sharing the Photo Book during these services allows your family and friends to celebrate the life that was lived, to reminisce, to laugh and cry together. Following the service, additional copies of the Photo BookTM can be obtained as a keepsake for family and friends. Photo Books are printed on quality photo paper, or can be provided in an E-Book format - the choice is yours. Our customer care centre and agents are readily available to assist you and your family in creating a Photo Book at no additional cost. Simply log in and click “Live Chat”, email or call our support centre directly. We provide beautiful product displays, the all-new Digital Memorial Register, feature-rich, secure Online Memorials, customizable slideshows, and quality printing services. And our Customer Care Centre is available to assist your client families every step of the way. Provide your customers with feature-rich, tasteful and secure online memorials, a downloadable app, customizable memorial slideshows, and the all-new digital memorial register - up to date technology we have all come to expect. And the ability to access and share information on a site with your branding will help create top of mind awareness to your service by a potentially unlimited number of guests. 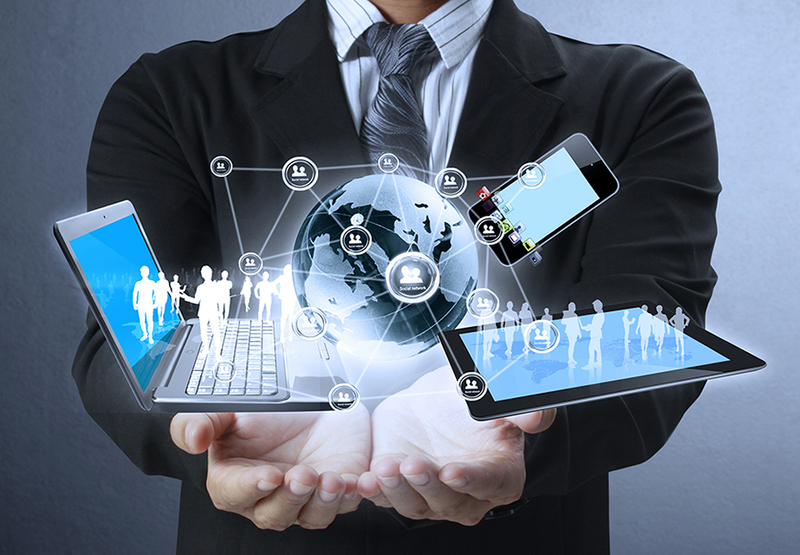 Our digital products are managed and supported by us, on our servers and internet connections. You will access these superior products, fully integrated and white-labelled into your current online presence, branded as your own. Our white-labeled Customer Care Centre works directly with your client families to assist them in the creation and support of all your digital memorial products. Our call centre agents are dedicated to helping your families and are a trusted and welcome resource for them during these difficult times. Our agents reflect your business professionalism and integrity. We guarantee a positive customer experience, which will reflect positively on your business and brand. 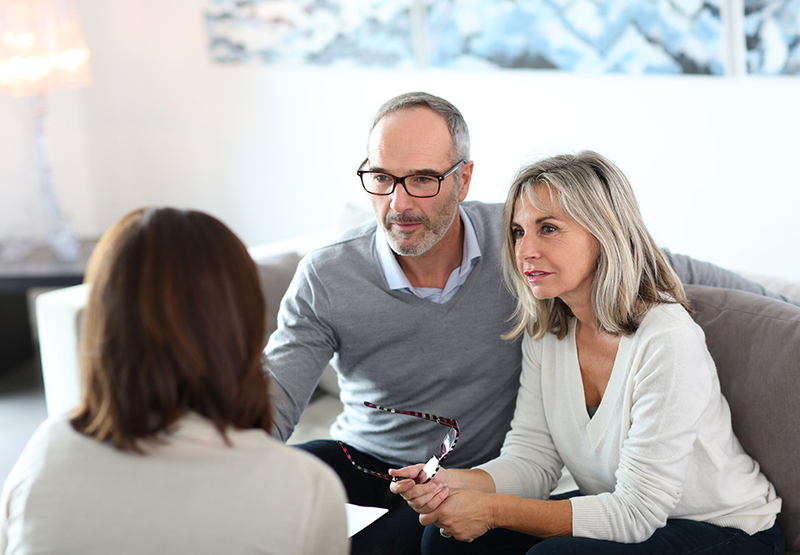 One single service provides and end-to-end experience for your client families. Simply initiate the Online Memorial and our Customer Service Centre will fulfill all digital and print product orders. No more need for stationary inventory or printing effort and cost. We will work with you to tailor packages that will meet the needs of your client families. MSi is a leader in the development of data-driven solutions which enable corporations to create long-term business value, growth, and profitability. Using our solutions, our clients are able to optimize the value of their corporate data and create a competitive advantage in the marketplace. MSi solutions enable companies to reduce costs, optimize performance, and gain the insight and agility needed to advance them ahead of the competition. To help our customers get the most out of their IT investments so that they can maximize their business performance, our professionals deliver world class solutions, services and customer support. The Permvita suite of products have been developed in association with several Funeral Care providers in North America and Europe. Our products and services are being successfully tested and sold in multiple locations and have been continually improved upon over the last 6 years.